Posts The Best DIY Present For An Author! The Best DIY Present For An Author! This gift is so insanely thoughtful, I can’t even tell you. My Angry Ginger made these beautiful shadow boxes for my birthday. She took her favorite passages from each book, printed them out on gorgeous paper, and put them inside a shadow box she bought at a craft store. Then she put the corresponding book cover on top with a foam inert to give it some depth. Beautiful. Meaningful. Simple. I teared up when I opened it, and I can’t wait to hang them on my wall. She promised to do the same to the rest of the Bone Angel trilogy when it comes out. Won’t that be a thing of beauty? I know many authors who frame their book covers and hang them, but this is the first time I’ve seen these shadow boxes. I adore them. Please let me know if you make one for yourself or the author in your life. What an awesomely beautiful idea!!! 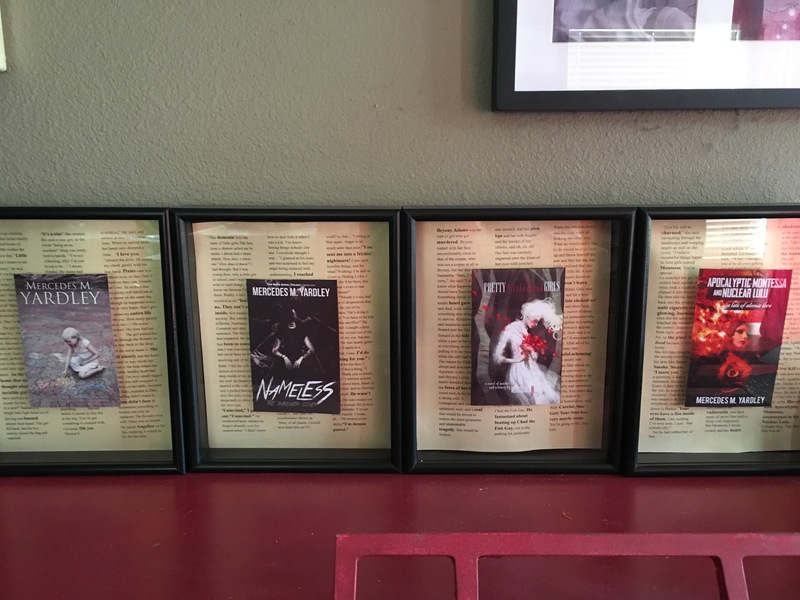 A coworker of my husbands made herself a shadowbox with the swag art from So Shall I Reap. I was totally floored. x.x Your Ginger is awesome. Kudos!